Written from a strikingly fresh perspective, this new account of the Boston Tea Party and the origins of the American Revolution shows how a lethal blend of politics, personalities, and economics led to a war that few people welcomed but nobody could prevent. 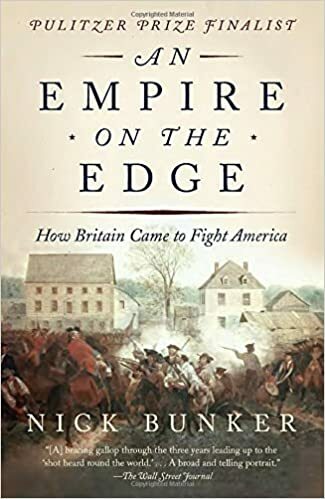 “A great Empire, like a great Cake, is most easily diminished at the edges,” observed Benjamin Franklin, shortly before the American Revolution. In An Empire on the Edge, British author Nick Bunker delivers a powerful and propulsive narrative of the road to war. At the heart of the book lies the Boston Tea Party, when the British stumbled into an unforeseen crisis that exposed deep flaws in an imperial system sprawling from the Mississippi to Bengal. Shedding new light on the Tea Party’s origins and on the roles of such familiar characters as Benjamin Franklin, John Hancock, Thomas Hutchinson, and the British ministers Lord North and Lord Dartmouth, Bunker depicts the last three years of deepening anger on both sides of the Atlantic, culminating in the irreversible descent into revolution.